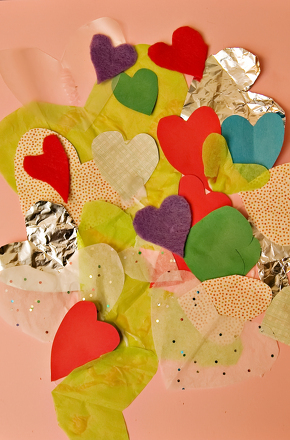 This candy wrapper collage is a cool upcycled craft that will distract your little monster from any post trick-or-treating blues. 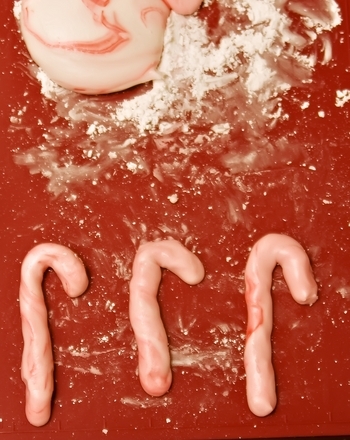 If you don't know what to do with candy wrappers post-consumption, try turning them into artwork. 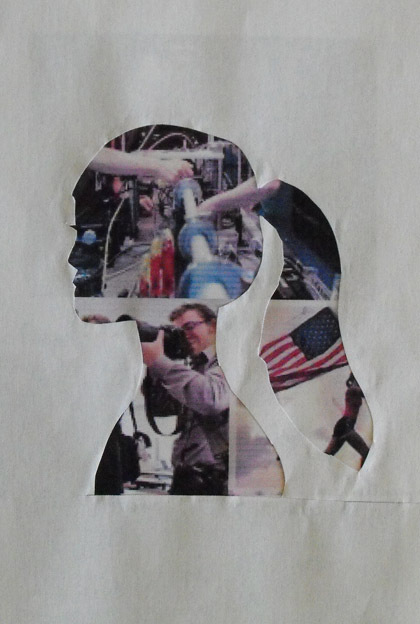 Artists around the world use "found" objects to make cool collages and magnificent pieces of mixed media. 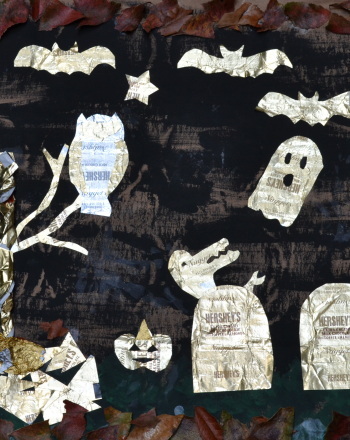 Teach your child about this everyday art form and encourage her to try it out by making her very own spooky landscape candy wrapper collage. Choose a specific Halloween theme. We made a graveyard! 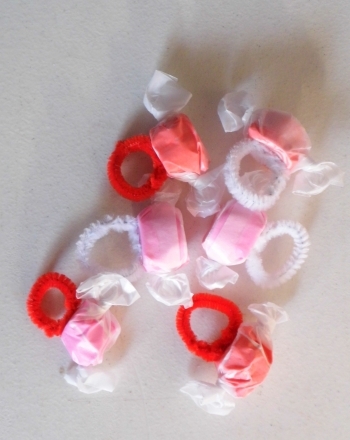 Help your child to cut the wrappers to create interesting shapes. 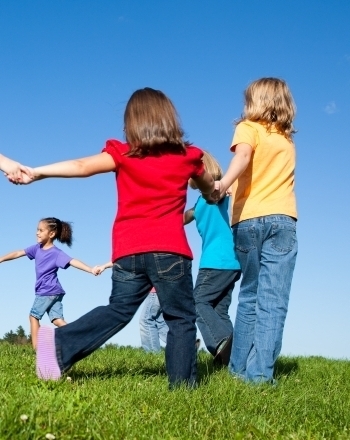 Have your little one arrange the piece of cardboard in a landscape position. 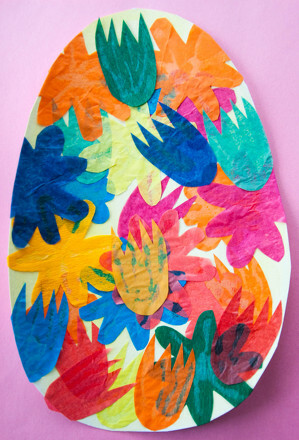 Create a collage using the wrappers, and any other small objects your child may want to include as part of the collage. 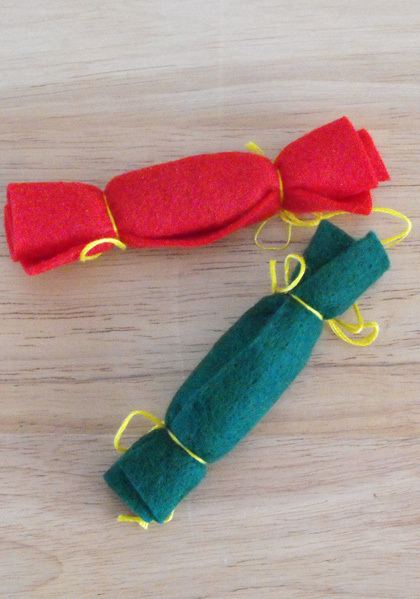 Add construction or tissue paper if desired. 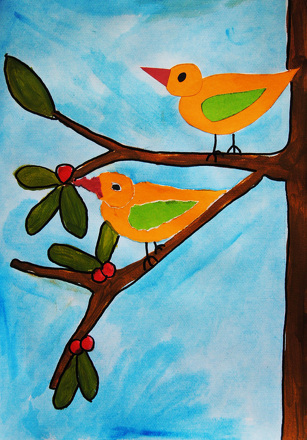 Paint details onto the design using the tempera. Let dry. Adhere leaves around the border of your picture collage. 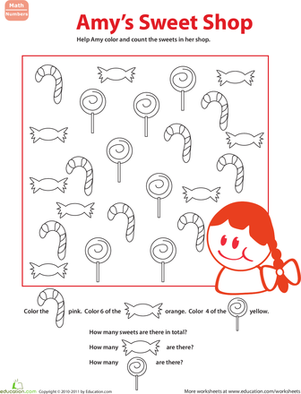 As an added bonus, this activity will help your child to learn about concepts such as colour, shape, and texture. Make sure to have her point out the letters and words on the wrappers as she works, and then count how many candy wrappers she used to create her oh-so spooky Halloween collage. 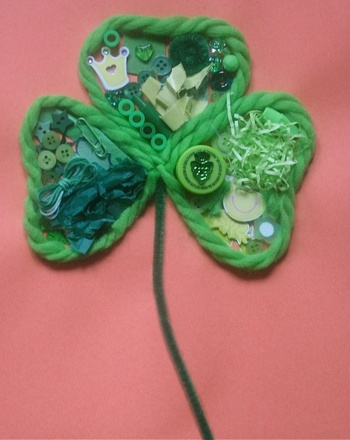 Patrick's Day by creating a tactile sensory collage filled with green things in this year one art activity. 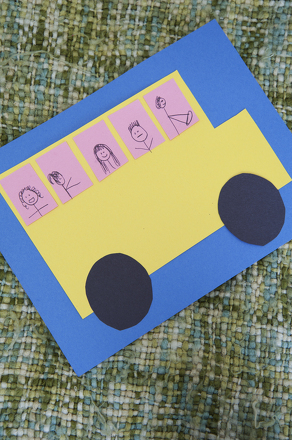 Use paper and paste to create a colorful collage of shapes that turns into a school bus right before your eyes.